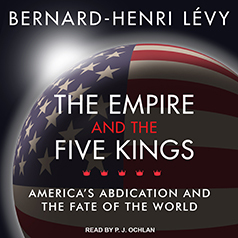 One of the West's leading intellectuals offers a provocative look at America's withdrawal from world leadership and the rising powers who seek to fill the vacuum left behind. The United States was once the hope of the world, a beacon of freedom, and the defender of liberal democracy. Nations and peoples on all continents looked to America to stand up for the values that created the Western world, and to oppose autocracy and repression. Even when America did not live up to its ideals, it still recognized their importance, at home and abroad.